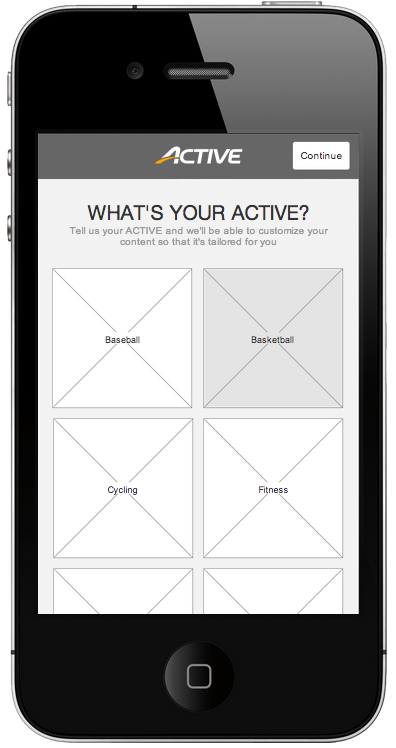 The ACTIVE.com mobile app was designed with our users' context of use in mind, requiring disciplined usage of personas, use cases, qualitative field research and lots of dry erase markers. 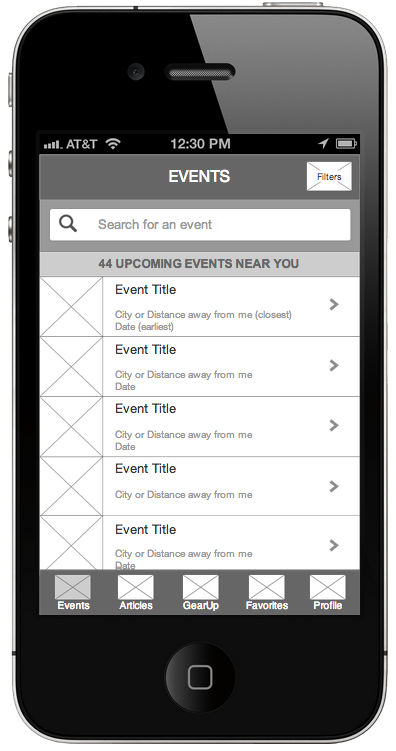 The idea for this was inspired by the popular theme of using "feeds" as an aggregate source for relevant content. 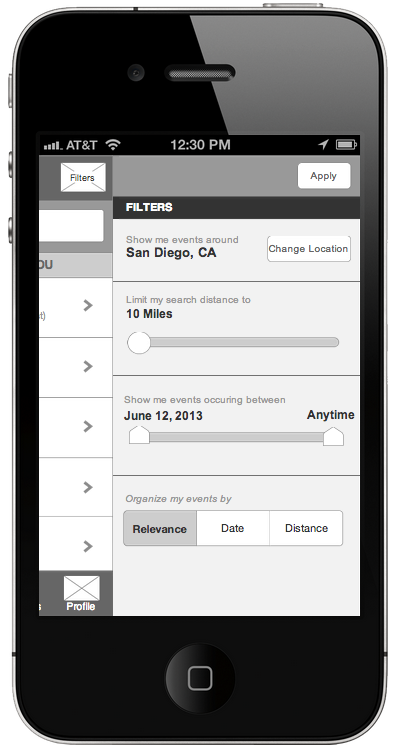 When the user opens the app for the first time, they can select their favorite activities. This is much like the modern day RSS reader, where you can select your favorite news source(s) from the on-boarding process and can expect the most relevant news to be fed directly to your home page. Instead of news, we ask about your favorite sports and activities so that we can bring the most relevant events to you. 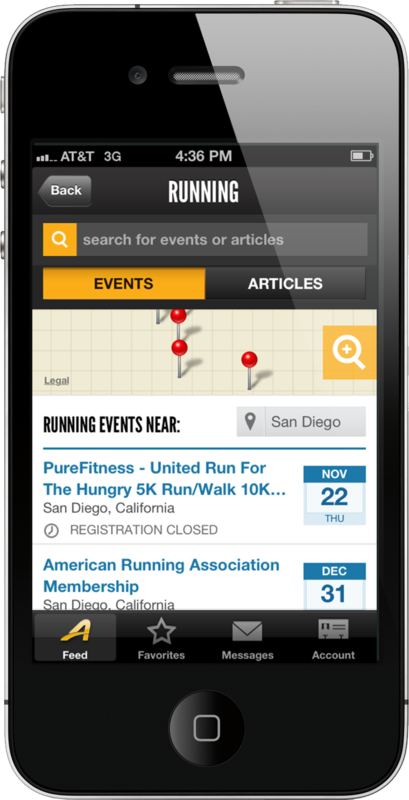 In addition, the app provides a fast and easy way to read articles, access registration history, register for activities on the go and notify the user when its time to register for their next activity.